I hate the sound of mosquitos. When they buzz by my ears, I twist and writhe, trying to get them away. Watching the beginning of the movie, “Saving Private Ryan”, the opening scene of which depicts the attack on Omaha Beach, it occurred to me that the sound of bullets whizzing by the soldier&apos;s heads sounded like giant mosquitoes…and I wondered how many men instinctively tried to move away from them and in doing so, put themselves right in the path of another bullet? That scene is long, gruesome and difficult to watch, and I&apos;ve heard from some WWII survivors that it is the closest thing to being there that I will ever see on film. That&apos;s hard to imagine, being in a place where every breath, every step, every moment could bring you into harm&apos;s way, or even death. And yet, millions of young men joined voluntarily from 1941 to 1945 to put themselves in that very danger. Women, too, as many joined the Women&apos;s Army Corps (WAC), the Red Cross and other organizations that put women near if not on the front lines. The journalist Tom Brokaw was completely correct when he called them, “the greatest generation”. They were a generation who had been made into iron by the difficulties of the Great Depression, and were forged into steel by the evils of the Nazis and Nippon. On June 6, 1944, the combined forces of the United States, the United Kingdom and Canada attacked five beaches on the beautiful coast of Normandy, France, where today people vacation for the sunny skies and tranquil weather. That day was gray, the sea was not quiet, and thousands of men drowned in their gear because the amphibious landing vehicles couldn&apos;t get close enough to the coast. The Germans had fortified the coastal cliffs for several years, knowing that an attack would have to come from Britain, and it was close to impregnable. At least, the Germans believed so. The 2nd Ranger Battalion, led by Texan Earl Rudder (later the President of Texas A&M), managed to scale the cliffs of Pointe du Hoc at dawn that morning in order to free up the guns on the heights. Because of them, the soldiers who landed on the beaches below were able to move forward. Rudder&apos;s Rangers, as they were casually known, suffered a 70% casualty rate from June 6th-8th. The 225 men who started on the mission ended the battle of D-Day with less than 75 fit for duty. However, they continued on and served valiantly in other battles in Europe. 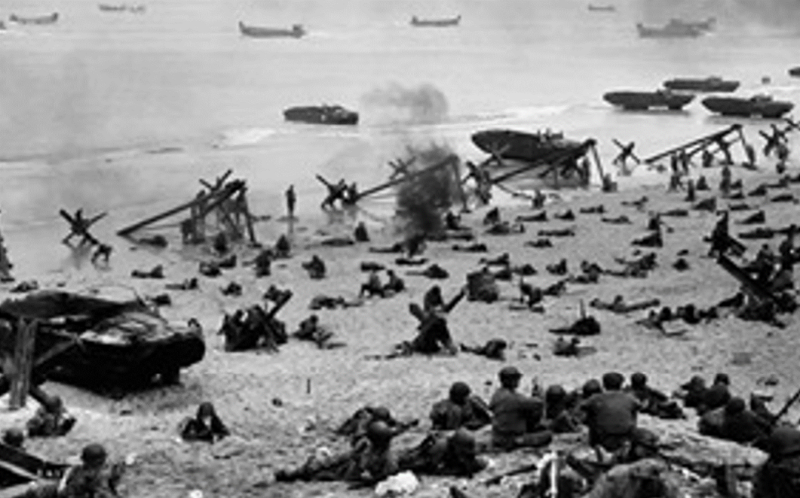 D-Day is an amazing moment in time for me to teach in my United States History classes, but I don&apos;t think I can clearly captivate my students with the importance and deep significance to our modern day life. Without this generation, there is no telling where the world would be today. While we often focus on the negatives of our current situation, I truly believe that if we had lost to Germany and/or Japan in the 1940s, our reality would be far worse today. We focus on the divisions between peoples now, but if Hitler&apos;s vision had come to pass, the divisions would have become impenetrable chasms. We are losing our WWII survivors in scores, and very few are left. I have been lucky enough to meet two in the past two years, both of whom I viewed as heroes, even though they humbly discouraged the use of that title. They pointed to the men who didn&apos;t come home as the real heroes. I disagree; the entire generation is heroical. Thanks to them for saving democracy, civil rights, and so much more.